It has been more than a year and a half since the Florida slip and fall law was changed, June 30, 2016. 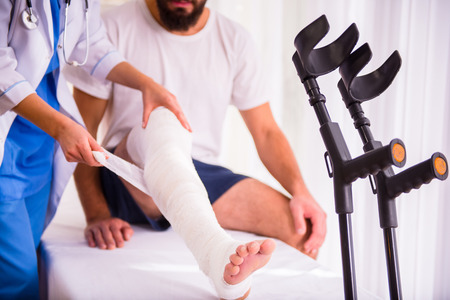 Prior to the change an injured person was only required to prove that his/her slip or fall was caused, for example, by an object out of place or a substance on the floor. The burden of proof was much less. Since the change, an injured person must establish that the business “knew or ought to have known” about the hazard and failed to correct it resulting in the slip and/or fall. The business had to be negligent, not just careless. For example, if a broken bottle in a convenience store is left on the floor, and not cleaned up immediately, then a person falling could have the expectations that the management of the store was negligent. If a condition exists on a habitual basis, such as a leaking air conditioning unit, the management should have known the condition caused a problem no matter how long the condition may have existed on a particular day when a person was injured. Investigation and the gathering of evidence are important in slip and fall cases. Business management may be quick to “clean up” after a customer is injured. By cleaning up, evidence is lost. If possible, it is recommended that photos of the alleged cause of the accident be taken immediately and preserved. Another source of potential evidence is a surveillance camera which many businesses have. The amount of time between the accident and seeking medical attention is crucial to any personal injury case. Florida law has a statute of limitations; however, memories fade and evidence is lost after many accidents. It is important to seek legal advice quickly following the event. The Florida Record reported in September 2017 that a woman from Orlando recently filed a lawsuit against Walmart because she allegedly sustained an injury after falling in one of its stores. The complaint was filed in the 9th Circuit Court of Florida. The injured person was claiming she slipped and fell on a “transitory foreign substance” while in the store. The suit was holding Walmart responsible for failing to correct and/or replace the unreasonably dangerous floors, and for failing to train its employees to regularly inspect the premises. “If you or a loved one are injured as the result of a negligent business owner or management, you may be entitled to be compensated for such things as medical expenses, lost wages, and pain and suffering,” said Fort Myers Slip and Fall Attorney, Randall Spivey of Spivey Law Firm, Personal Injury Attorneys, P.A.